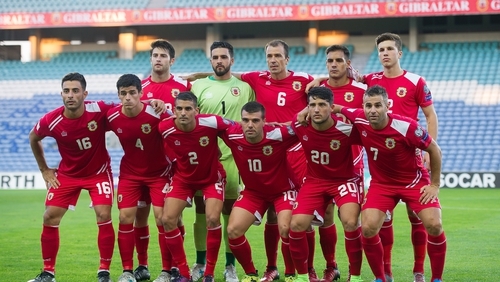 Positivity is rising among the players and supporters of the Republic of Ireland's weekend opponents Gibraltar, with one journalist saying they are feeling "more Gibraltarian than ever" on the back of two breakthrough wins. Gibraltar had played games in Faro since being introduced to UEFA qualifying in 2014 but were able to play Nations League games last year in the 2,000-capacity Victoria Stadium, which has now been deemed suitable for Saturday’s qualifier. Robin Sheppard Capurro of GBC TV told the RTÉ Soccer podcast that this has added to good spirits among their football fans following victories over Armenia and Liechtenstein under manager Julio Ribas. The Gibraltar-based journalist told RTÉ Sport: "It means everything for the fans and players. We have been wanting this for a long, long time to finally play our home fixtures at home. It really means the world for a population of 30,000 so passionate about football. "It is hard to put into words. Faro was a five-hour trip each way. It certainly wasn't ideal for Gibraltar. "So to be finally here on the Rock, a unique setting... every team that comes here leaves with fond memories. "Ireland are arguably the biggest and toughest fixture we've ever had at the Victoria Stadium but those two wins have just brought a new sense of belief. It is a curious case of Julio Ribas, a Uruguayan full of South American passion and flair, who has got the Gibraltarians feeling more Gibraltarian than ever." Despite such talk, there is a realistic approach in the home camp and it will likely be a case of digging in and trying to keep Ireland scoreless. But results secured in the Nations League have left them dreaming of another milestone and their biggest scalp yet. Sheppard-Capurro feels that you cannot rule out Gibraltar under their current management. He said: "It is about the approach, psychology and education that he has instilled in the players. It is a really curious, interesting case where there is a never-say-die attitude. And who knows? "Gibraltar have had to get used to being underdogs since the start of our UEFA journey and we are quietly confident. "Expectations are realistic as they always are. But at the same time they are positive. Who would have thought (we would have) back-to-back wins against Armenia and Liechtenstein in the Nations League last year? We have become used to the sort of David v Goliath case. We are happy to play David. "Julio Ribas is very much in the mould of a Sean Dyche or a Sam Allardyce with a defensive mindset but really instilling the art of fighting and getting the absolute most out of every player on the pitch."